Quality show caveson. Made with supple Havana brown leather and heavy duty, durable hardware. 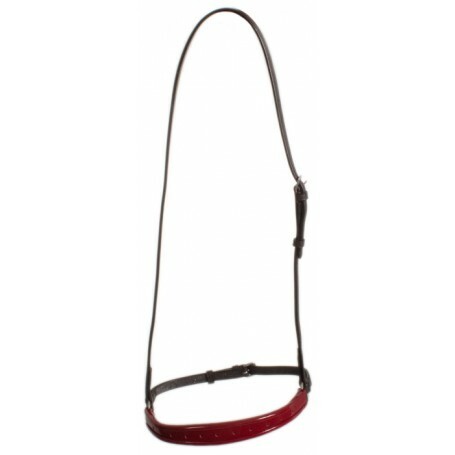 Noseband features extra shiny bright red patent leather.Great looking caveson economically priced. Quality show caveson. Made with supple Havana brown leather and heavy duty, durable hardware. Noseband features extra shiny bright red patent leather. Great looking caveson economically priced.